"When fantasy meets reality can true love prevail?" 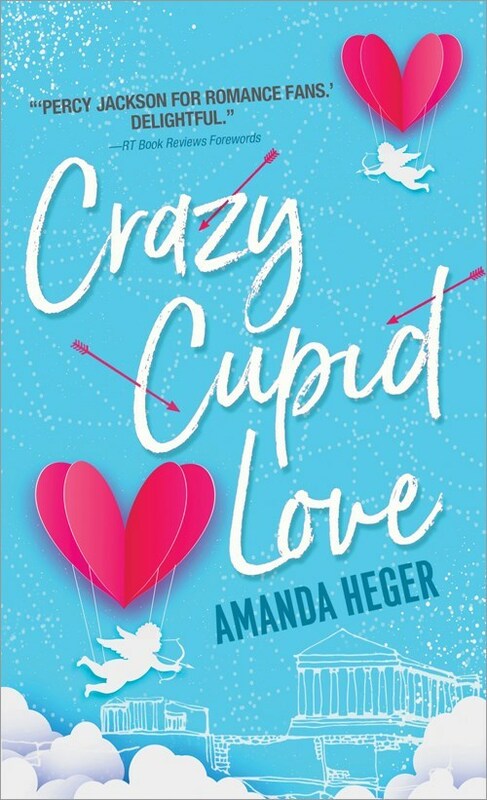 CRAZY CUPID LOVE by Amanda Heger is a paranormal romance with a hint of fantasy. A story full of funny moments, drama, family, and attraction. There are even a few steamy romantic scenes that are sure to warm your heart. I was unsure at what to expect when I started reading CRAZY CUPID LOVE and was quickly drawn into a fantasy world. Heger writes a captivating read with slapstick humor that will have you laughing out loud. The banter between the characters is undeniable and is sure to leave you wanting more. The characters are relatable and well-developed. They mesh together and make for one amazing romance. A good friend turned lover romance that is sure to stay with you long after reading. CRAZY CUPID LOVE would make a perfect holiday or beach read. You will find it easy to get lost in this fantasy world. A fast-paced read that is full of twists and turns to make for a wonderful story. A solid start to the remarkable new series, Let's Get Mythical . I cannot wait to read more in this series and from the author. Re: When fantasy meets reality can true love prevail?